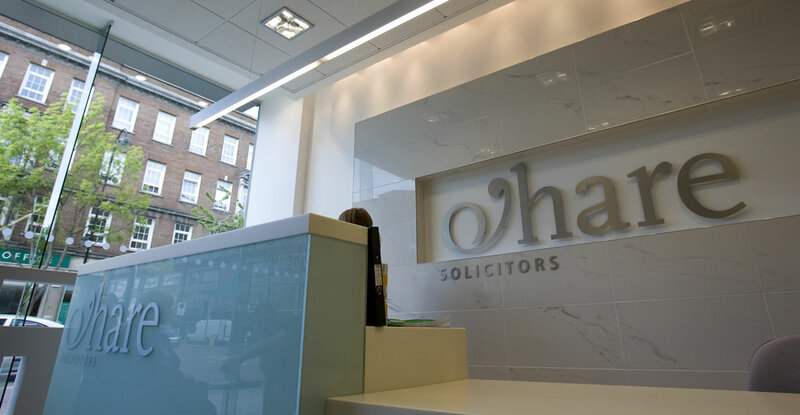 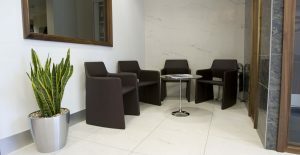 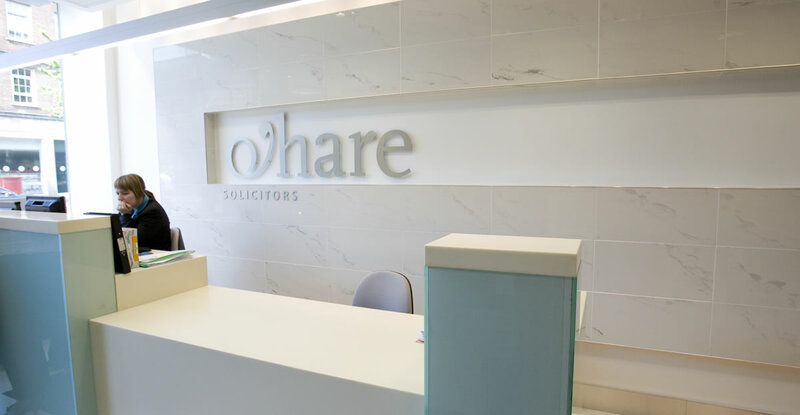 We carried out the full refurbishment of the Belfast based solicitor’s entrance and reception area. 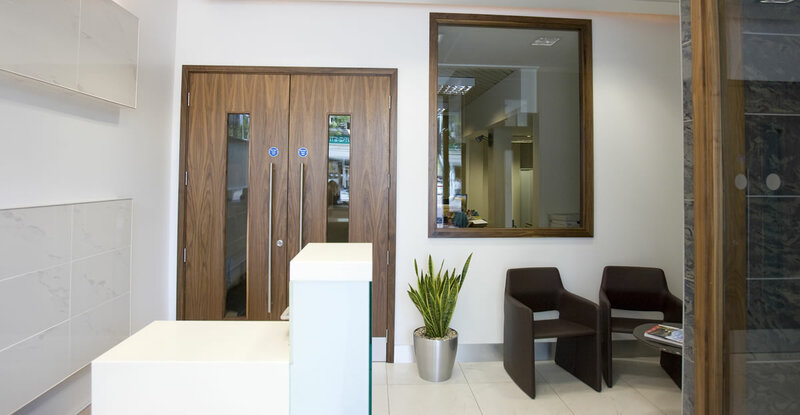 The project entailed the complete removal of two existing entrances, replacing the existing elevation with a full height frameless glass front and frameless glass entrance door. 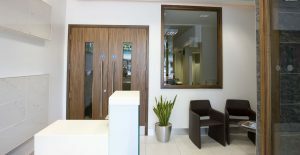 The modern design included full height internal walnut and glass doors with fully tiled porcelain floors and feature walls. The theme of glass was continued in the contemporary corian and glass reception desk.